EmbedMaster is a lisp routine that draws any size angle or channel iron you pick from the pop-up menu system, at any angle you pick. (Not a block) Main menu included. 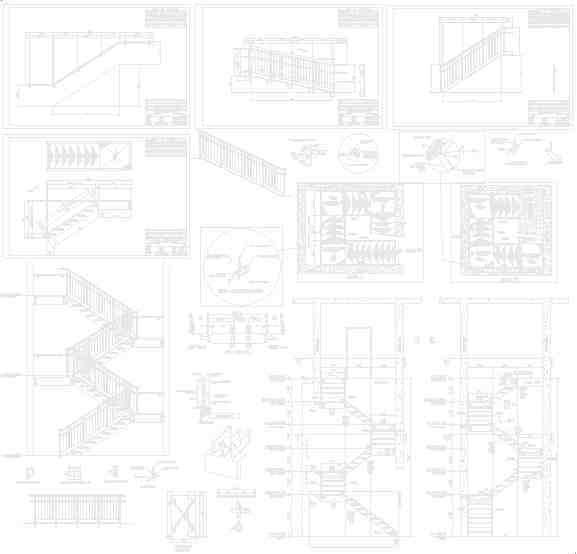 Plan-views drawn with parametrically detailed shop-drawings, including the B.O.M. (Bill-Of-Materials). All clips are user controlled, with copes and mark-numbers auto-controlled (with a re-set for changes in designs). 1) Embed for grating supports. 2) Anywhere Angle-Iron is anchored into concrete for supports. 3) All kinds of applications that require Channel-Iron beams! User defines what is to be drawn. 3) Both 1 & 2 above! 4) Full help-system (Help check-box "checked" disengages all functions and the dialog becomes a full help-system). 5) Slides in the image_tile showing what each function is used for (visual reference). 6) Once the material and view(s) are selected, the dialog is dismissed and the items are drawn (see 1, 2 & 3 above). a) Enter a length (or pick the length manually). b) Mark-numbers (auto-mark feature included too!). c) Connections (Concrete, Framed No-Cope, and Framed Coped). both angle & channel iron into concrete). d) Clip-sizes (also this-side, far-side or both-sides). e) C/C on 2 clip method (incorporating auto G.O.L.). Draws Angle-Iron or Channel-Iron in a plan and/or elevation (shop drawing).